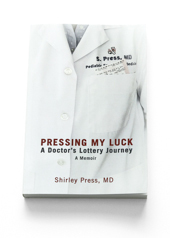 I sold my 1000th copy of “Pressing My Luck” at the book fair this past weekend. Now I’m up to 1002. Thanks everyone for your support.